Foliage Type: Long dark green foliage, turns reddish in fall. 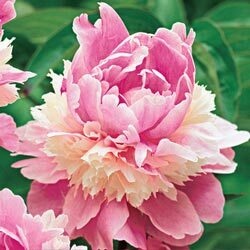 Flower Form: 5-7" double blooms. Soil Requirements: Prefers well drained, but suitable for almost all types of soils. 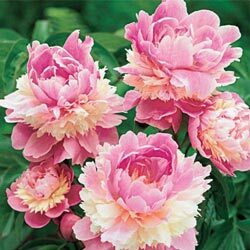 Pruning: Only to remove spent blooms and remove tops after freezing in fall. After flowering and after tops freeze in fall. Winter Care: None, except to mulch the first winter especially if fall planted.